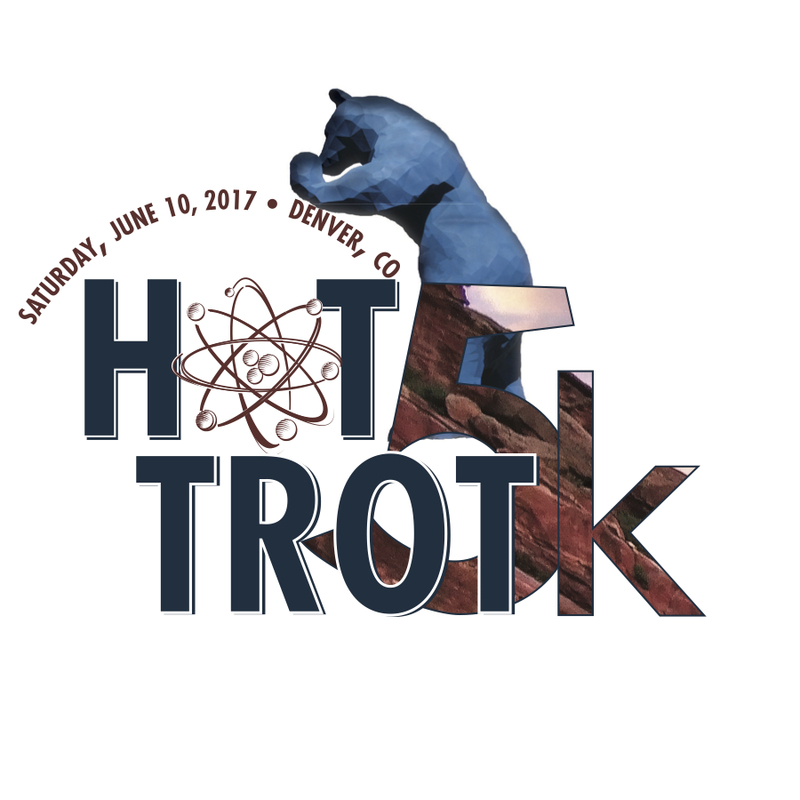 The Hot Trot 5K is back, and this year we are taking on Denver! ***NEW THIS YEAR*** Virtual option! Can't make it to Denver but really want the medal? Sign up today! Your swag bag and medal will be mailed after June 10, 2017. 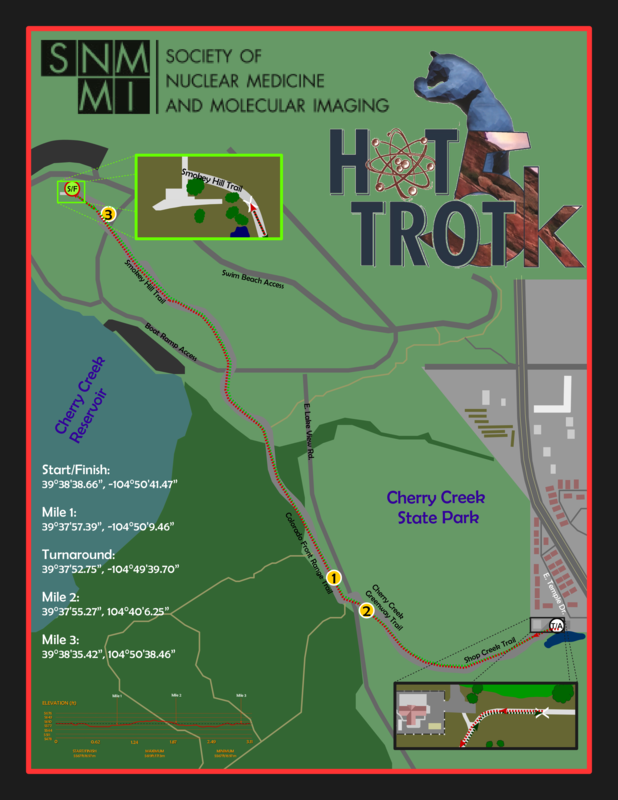 The route is at Cherry Creek Park. We will be providing busses for those who will not be driving. Details to come. This race supports two charities. The Professional Development and Education Fund (PDEF) for the Society of Nuclear Medicine and Molecular Imaging - Technologist Section AND a local charity called Freedom Service Dogs. Included in your registration fee is a tech t-shirt and every participant will get a medal once they cross the finish. Online registration is open until 6/04/17 or until the race sells out (whichever comes first) after that date you can register in person 6/09/17 or 6/10/17 for the cost of $35. Buses will run from the convention center starting at 6am and ending at 6:30am to get to the start. Bib and participant bag pickup will be on Friday June 09, 2017 3pm-6pm at the convention center and Saturday June 10, 2017 at the start (times tbd). What is a virtual race? You sign up, you run or walk on your own time, wherever you want, and you still get the cool swag and medal! Your swag bag and medal will be mailed out after June 10, 2017.